1.1.1 Why Study Media Council? First and above all, I would like to thank the Almighty GOD for his support in all my life and for the successful completion of this thesis. 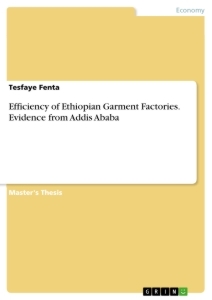 I would like to express my sincere gratitude to my advisor Dr. Zenebe Beyene for the continuous support of my MA research, for his patience, motivation, and immense knowledge. His guidance helped me in all the time of research and writing of this thesis. I wish also to thank the Ethiopian Broadcasting Corporation (EBC) for granting me this opportunity to join the MA program. To my family, especially my wife Zeritu Brihanu and my son Jedidiah Bereket, I am very grateful for your unconditional support, encouragement, and love. In addition, to all my EBC/ FM 97.1 friends& staffs I wish to extend my appreciation to you all. I especially thank Meseret Atalay and Silashi Damesew for their support in direct relation to this work. Thanks are due to my classmate, Abayeneh Tilahun, Bilal Worku, Alula T/ Mariam and others for their support and encouragement. Finally, yet importantly, I thank all my respondents very much for their cooperation without which this work would not have been possible. Appendix 3: Interview questions for media managers and/or owners, EMC leaders & association leaders. The purpose of this study was to examine sustainability and the roles Ethiopian media council plays in addressing the issues the media faces in Ethiopia. In order to assess the sustainability and roles of EMC, the study examined determinant factors of sustainability and success of the council. The study employed mainly qualitative, in-depth interview and complemented by quantitative, structured questionnaires, research methods. Data were thematically analyzed based on related literature reviews, in-depth interviews, and findings from questionnaires. The social responsibility theory remains central in guiding this study. The study revealed media community do not reach consensus on the roles of EMC plays in the industry because a clear understanding and explanation of the council role was not given. The result showed EMC is not independent (from government and media proprietors) to deal fairly with complaints and to secure public trust and confidence. The findings also indicated that the council does not bring the entire media platform (online & offline) because of this it will be difficult for the EMC to enforce a code of conduct. In addition, government interference, lack of finance, lack of commitment and cooperation, media polarization, conflict of interests and distrust among media society are major challenges for the EMC in promoting and sustaining freedom of expression and media freedom. Based on the findings of the study, recommendations have been forwarded. The media are social institutions play their roles in the information communication area. They are there, to get the public fully informed, educated and entertained. These are recognized depending on the guidelines delineated in the respective law. If media freedoms are protected, they can fully use their potential to contribute to the well-being of the societies. However, because the media are powerful, there should be mechanisms to ensure they are held accountable to the public and that ethical and professional standards are sustained. And media independence is guaranteed if media organizations are free from the interference of government and power groups. Along with various schemes, media self-regulatory body, such as media council has contributed to creating independence that allows the media to be an effective instrument for extending freedom of expression and freedom of the press. Consequently, media Councils exist to show the public that the media industry is willing to self-regulate and that there is no need for external regulation. By considering this, the Ethiopian Media Council, hereinafter referred as EMC was established on January 2016. The realization of the Council is one-step forward to ensure freedom of expression and guarantee the rights of the media stipulated in the Ethiopian constitution. In addition, it should still need to do the best to further make the Council a stronger institution. A point to be noted is that this media council was born of many discussions and debates about regulating the media. Nevertheless, upon the establishment of the council diverse controversy arose from a different corner. According to Association articles, traditional media (print and broadcast media houses) are entitled to be made part of the Ethiopian Media Council, whereas online media are left out. In addition, the source of income for the council was the major questionable issue that blurred the fate of the council. The concerns have been raised regarding the council appreciated and that is why the researcher motivated to conduct the sustainability and roles of the newly established Ethiopian media council. Independence of media regulatory bodies is a vital condition for the promotion and protection of the right to freedom of expression. According to Bussiek (2008), the emergence of media councils has been linked to the media’s desire to avert statutory regulations that are often seen as deliberate attempts to quiet freedom of the media. And the concept of a media council to self-regulate is based upon the fact that disputes over media content and behaviors of practitioners should be resolved by some independent but non-legal body. Andrew Puddephatt (2011) argued self-regulation preserves the independence of the media and protects it from partisan government interference. Accordingly, media councils are the forum where people can send the complaints against the irresponsible functioning of the media. And its main task is to deal with complaints about the work of the media, through collective decision making. By doing this, media council offer guarantees to the public about the quality of information the public receives, demonstrate that media professionals are responsible. So, the prime functions of media councils are to increase the accountability of the media to the public. According to Day (2003) media, councils are composed of the cross section of the community and the media that are designed to investigate complaints against the media, investigate the charges, and then publish their findings. And to sustain their freedom and avoid the involvement of the coercive power of government, the media voluntarily set up media council to scrutinize failings of social responsibility that might spoil their image of disinterested public service. Gordon and Kittos (1999) states that any limitation of the freedom of expression by outside forces is dangerous for several reasons: It opens the door to any would be the determiner of “right” or “correct” expression; it assumes that media people cannot make their own decisions (1999:38). Each established media council is unique, the result of its country's particular history and media environment. Based on this, the Ethiopia Media Council was established, to promote self-regulation among its members and to consider complaints against the media from the public, from the government and from the media itself. For the media to play important roles in the democratic process of a given country, they have to be free and independent first. To be able to entertain the different views and opinions, which are key aspects in a democracy, the media need to be free from any interference. Assigning press ombudsman, establishing media councils and press complaint commissions are ways of intermedia regulatory frameworks. As one of the self-regulatory mechanism, media council is responsible for adjudicating complaints and for upholding freedom of expression through ensuring compliance with ethics and reviewing freedom of the media in general. Hence, the media council's purpose is to protect the freedom of the media by ensuring that it keeps or recovers the trust of the public, by improving its informative and ethical quality, and by making it more socially responsible. Since other media self-regulation mechanisms such as media ombudsmen, and press complaint commission are yet not introduced in Ethiopia, the researcher assumes that the newly established media council of Ethiopia has a significant contribution in media self-regulation. As a result, the research focuses on the media council of Ethiopia. Media can function effectively with a regulatory body, which controls their activities and affairs as it relays to journalistic practices. And the media are considered to be a watchdog of the society and the media council in principle, is expected to be the watchdog of the media. Consequently, given the public function of the media as a watchdog of public authority, the regulation of media activities by the state, as the one to be watched, can be problematic. That is why, many countries have developed a self-regulatory framework, with independent media councils. The media has acknowledged that some self-regulation is essential because failure to regulate will result in further erosion of confidence and perhaps even public demands for government intervention (Day 2003:45). Even though the role of self-regulation in the media is vital to promote a high standard of professionalism and growth and advancement of the media industry, in the long history of Ethiopian media since the January 2016 no media council was realized. Research conducted on the institutionalizing a media Self -regulatory body in Ethiopia (Solomon, 2011) found out that the media industry to survive and follow the right path of the profession, an independent media self-regulatory body has an irreplaceable role. Inclusiveness, transparency, accountability and a responsible and yet fiercely independent engagement with all the concerned bodies that are within the efforts of forming the media council should be given high priority (Solomon, 2011:p.64). No one refutes that an indisputable media council would have helped journalists to be monitored and regulated by their own partners rather than by compulsive law enforcement officials, as is the case in the country. For media council to maintain its independence, it needs to be all inclusive, efficient and financially self-sustaining. The Ethiopian Media Council announcement was aimed at a self-regulatory body at promoting a high professional standard for country media and to deal with complaints emanating from the public about the conduct of the media and journalists in their professional capacity, or complaints from the media about the conduct of persons or organization towards the media. But, even if no research conducted on the similar topic, based on the researcher's observation, working journalists and stakeholders are criticizing that the newly established Ethiopian media council is not functioning properly and uncertainty concerning the fate of the council, whether it's continuing or not. As evidence, they mentioned the problems in fundraising system, membership eligibility, and interference from the government. And since January 2016 thin-skinned arguments have been heard from many corners, both in favor of and against the council. Also, as everyone is talking about media self-regulation, there is a gap of understanding of the concept and roles of Media Council. Therefore, this research will assess the sustainability and the roles of the Ethiopian media council. In addition, the purpose of this research is to examine factors determining council's sustainability and effective. 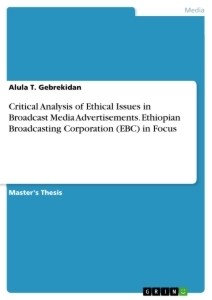 The general objective of this research is to examine the sustainability and the roles of the newly established Ethiopian media council play to realize self-regulation of the media industry in the country. - To identify the major problems that face the EMC to achieve the self-regulation role and. - To review the criteria for accepting members and the fundraising system of the EMC. RQ: What roles the Ethiopian media council plays in the country's media industry? RQ: How journalists understand the Ethiopian Media Council? RQ: What are the major problems that affect the council in playing the self-regulatory role? RQ: To what extent the fundraising system and membership eligibility to make sustainable and successful the Ethiopian Media Council? This study will assist to determine the sustainability of the Ethiopia Media Council and extent of assistance it can give to the country's Journalism in serving as self- regulatory body of the media. As a result, it may lay the foundation for other research attempts in the area of media council and some other related initiative in the future. In addition, it helps all significant bodies need to work together to outshine the media sector that is free from any influence. The study defines mostly the Ethiopian media council as a self-regulatory body. Hence, it mainly focuses on only on selected media organizations, professional associations and individuals that have been playing an active role in the effort towards strengthening and successful a media council of Ethiopia. As a result, not all of the executive committee members of the council and media organizations are included in the study, since the time and finance of the research are limited. Since the Ethiopia media council established in January 2016, mainly the media council members that the researcher has visited may not keenness to provide information, though they advocate the right to access information. Shortage of sufficient materials and relevant literature in the area was also a limiting factor. In addition, this study is limited by the logistics and financial problems. As a result of this, the researcher narrow the research work at some media houses and stakeholders found in Addis Ababa because of the inadequate resources available. This thesis contains five chapters. Chapter one presents the introduction, background of the study, a statement of the problem, research objectives, significance of the study, research questions, scope, limitations, and organization of the study. In addition, the second chapter discusses the review of literature related to the study and the theoretical framework. Then the third chapter talks the design of the study, i.e. the methodology such as the data gathering techniques and other related things. Chapter four deals with data presentation, discussion, and analysis. Finally, the last chapter, chapter five, comprises the conclusion of the study. The major findings are presented in this particular chapter. Suggested recommendations relying on the findings of the study are forwarded. Regulation refers to subjective the process under the rule of the state, usually centered in an independent regulatory body. This body makes decisions in situations where there are conflicting interests. Also regulation consists of the use of formal statutory rules laid down by public authorities. Regulation has three components: legislation, that is, defining appropriate rules; enforcement, such as initiating actions against violators; and adjudication, that is, deciding whether a violation has taken place and imposing an appropriate sanction. And one field that is regulated by the state is the media. So, media regulation refers to all means by which media organizations are formally controlled or directed in their activities. According to Francois (1975), the history of media regulation begins with the claim of the printing press to book invention from the mid-15th century onwards in Western Europe. As the printing industry expanded, especially after 1500, both church and state took an increasing interest in the content of what was being printed and published, especially with a view to combating dissent. This led very widely to the licensing of all printers by the state and the requirement for advance consent by church authorities for texts to be published. Thus, media regulation is the use of legal means to control media ownership and the content of media communications. More specifically, the state issues licenses and supervises the media industry. Selznick, cited in Varney (2006) argued, regulation is continual and focused control exercised by a public agency over activities that are valued by a community. All governments, because they understand the political and social value of the media, develop some policies aimed at regulating and controlling them. In fact, the method by which governments try to achieve such control varies. David Croteau (2011), argued that some nations have taken direct authoritarian control of media through state ownership and the banning of opposition media. But most nations engage in media regulation that is non-authoritarian in nature. To be an effective contributor to the democratic process, the media, as a channel for ideas and information and generator of debate, must be able to offer a variety of voices and views, and operate independently, without the undue dominance of public or private power (2006, p. 32). The notion is that the media, which endowment ample benefit should not plunge under power group. If the media are losing their freedom by power group then they will not serve the societies as expected. One can understand the dilemma of the legislators. If journalism does require a certain degree of respectability then it cannot be an open forum where everybody can do as they please. There must be some sort of gate to separate journalists from others (2011, p. 73). Media can affect people's thinking and behavior to a remarkable extent, both for the good and for bad. Harnessing its power to work for the democratic process is one of the key purposes of regulation (Solomon, 2006). There is a range of approaches to implementing media regulation. And a variety of regulatory options and tools are required to successfully address various types of policy problems, community concerns, and market issues. Also, states have adopted different forms of media regulation ranging from self-regulation, co-regulation and statutory regulation. According to Kimumwe (2014), more developed democracies have tended to enact legislations that guarantee media freedom as well as permit the media to regulate itself, while the dictatorial ones have embraced the statutory form of regulation by passing legislations that effectively seek to control the media. Therefore, currently, at least three main models of media regulation have been identified: such as regulation by the Government (statutory regulation), by the industry itself (self-regulation) and by a combination of both the Government and the industry (co-regulation). The models of government regulation differ worldwide and are not adapted to a set formula hence the level of government involvement varies. Statutory regulation is when the legislature makes laws relating to the standards of journalism and creates an institution with the powers to act against those that do not practice journalism according to those standards. In statutory regulation, the media regulators are reliant on the state, right from the establishment, composition, and accountability. In addition, the statutes setting up the regulatory body also establishes the professional standards that the media must adhere to, as opposed to the self-regulatory model where the industry itself comes up with the professional standards (Kimumwe, 2014). And this type of regulation has advantages that include resourcing, compulsion, legal enforceability and universal coverage. However, it can criticize as being expensive, inefficient, stifling innovation, and inviting enforcement difficulties. Because it is statutory in nature, it is less flexible and responsive to change than a self-regulatory or co-regulatory model. It may also result in greater restrictions being imposed on freedom of expression, and have lower levels of cooperation from the industry. The review of press council of South Africa (2011) indicates Statutory regulation tends to have arisen in particular historical contexts, usually when there was a relative lack of freedom of expression and a lack of consensus among the press themselves on ethical codes and their enforcement. Self-regulation begins with members of an industry, establishing a regulatory body to achieve shared goals that could not be met by any individual member. The central principle of self-regulation is a voluntary process, in which the industry establishes a code of conduct that is to be valuable for all members. Then, self-regulation in the media primarily takes the form of journalistic codes of practice for accuracy and fairness plus some procedures for implementation. In addition, in self-regulation, the media takes full responsibility for the standards and the sanction against those who do not meet the standards. This may only engage individual journalists, editors and news organizations taking final responsibility for their actions. As Ian & Lewis (2007:10) states, "Often the industry prefers self-regulation to government or co-regulation, and therefore has an incentive to make self-regulation work." Therefore, in order for self-regulation to be successful, the media itself must be able to fix the problem; in other words, there must be an encouragement for individuals and groups to develop and obey with the self-regulatory mechanism. This model is the central point of this study and thus more conferred later in this chapter. Co-regulation can mean that the media industry or a professional body representing the media develops the regulatory arrangements, such as a code of professional practice or standards, in coordination with the government (Johnson, 2014). For Kimumwe (2014) in the co - regulation model, a statute establishes an independent regulator and gives it powers to set up professional standards for all media and impose sanctions for violations them. The regulator is independent of the state. Along with, setting up co-regulation mechanism combines legislative or regulatory measures together with other measures adopted by other agents and based on practical experience. And co-regulation gives a halfway house between state regulation and industry self-regulation. It allows the industry to partially regulate itself, but affords a statutory additional support. It can allow for a wider range of sanctions than a purely self-regulatory model, depending on the degree of government involvement. Co-regulation shares many of the advantages and disadvantages of self-regulation and government regulation. It may not be as flexible or speedy in its response to changing circumstances as a purely self-regulatory system, but it may be seen to provide greater protection where important public policy goals are at stake (NZLCIP27, 2010). And co-regulation is a strategy where the government establishes the broad parameters of regulation and the industry concerned is then responsible for the development of detailed regulations; these regulations are then approved and administered by a regulatory group. Additionally, this is the situation where the regulator and industry stakeholders work together, with the regulator setting the framework to work within. And it is seen to combine the flexibility of self-regulation and the binding nature of the legislation. The notion of a free media, which of course is essential to freedom of expression, has a long narration. Jones, cited in Netsanet (2007) states, the idea of freedom of expression had a long history and dates back to Britain in the 17th century. A 1978 survey of the constitutions of 161 countries shows those 142 countries, or 87.3 percent of them, guarantees freedom of expression. This indicates that freedom of expression has become a universally recognized right. Along with, freedom of expression and freedom of the press are measured basic human rights under various international legal regimes. Fundamental human rights are among the vital building blocks of a democratic practice of government. In 1946, the UN General Assembly adopted Resolution 59(I) which states: “Freedom of information is a fundamental human right and the touchstone of all the freedoms to which the United Nations is consecrated.”The freedom of information principle has now passed into what is known as customary international law, the body of law that is considered compulsory on all States as a matter of international custom. The International Covenant on Civil and Political Rights (“ICCPR”) elaborates on many of the rights set out in the UDHR, imposing formal legal duties on state parties to respect its provisions. Noticeably article 19 of the ICCPR guarantees the right to freedom of expression in terms very similar to those found in Article 19 of the UDHR. Freedom of expression is also protected in the three regional human rights systems, Article 10 of the European Convention on Human Rights (European Convention) Article 13 of the American Convention on Human Rights and Article 9 of the African Charter on Human and Peoples’ Right. The media freedom is the way to achieve an accountable and transparent government free from corruption and tyranny while developing a professional and unbiased press. Then the notion of media freedom holds that any intervention by the government is detrimental to the operation and functioning of the media. Therefore, press, in other words, must have the freedom to criticize the government. In the next section, media self-regulation concept is presented. Although, self-regulation and freedom are two different concepts, in reality, there is a close link between the two. And the literature for this study is based on the concept of media self-regulation as a means of media freedom. Campbell (1999), point out the term "self-regulation" means that the industry or profession rather than the government is doing the regulation. However, it is not basically the case that government involvement is entirely lacking. Instead of taking over all three components (legislation, enforcement, and adjudication), the industry may be involved in only one or two. Self-regulation is a combination of standards setting out the appropriate codes of behavior for the media that are necessary to support freedom of expression, and process how those behaviors will be monitored or held to account. Self-regulation preserves the independence of the media and protects it from partisan government interference (Puddephatt, 2011). Siebert et al. (1963) suggested that the evolution of self-regulation of the press can be associated with the following factors. The first factor is related to technological and industrial revolution. Technological and industrial revolution were so influential that they altered people’s way of living, which in turn affected the nature of the press. Secondly, as the media grew in size and prominence, sharp voice of criticism and tacit threats started to prevail. The third is the new intellectual climate that made people critical about the basic postulates of the Enlightenment. Finally, “the development of professional spirit as journalism attracted men of principle and education, and as communication industries reflected the growing sense of social responsibility assumed”, self-regulation or “self-righting process” became the predominant thought to govern the media. Self-regulation is the procedure of constantly monitoring improvement toward a goal, checking outcomes, and redirecting ineffective efforts (Berk, 2003). In its simplest form, self-regulation is collaboration on, and adherence to, a set of practices or codes, without direct government intervention. So based on this it has two key characteristics: It is independent of government control and members of the industry are involved in the regulation. But, self-regulation is not censorship. It is about establishing minimum principles of ethics, accuracy, personal rights and so on, while fully preserving editorial freedom on what to report and what opinions to express. So, media self-regulation is a sub-category of regulation that takes place when a group controls membership within that group. Accordingly, systems of self-regulation should be linked to principles of media freedom. Where media freedom does not exist or is under threat the promotion of professional standards must be linked to the defense of press freedom. Baldwin and Cave (1999), recognize three variables present in self-regulatory schemes: the first concerns whether there is governmental intervention or self-regulation is purely private. The second variable addresses the role played by actors in setting out and monitoring rules. And a third variable is the binding force of the rules. Therefore, media self-regulation must be very encouraging to freedom of expression, pluralism, and diversity of the media. And this needs that the regulatory framework that is accepted seeks to protect and promote freedom of expression. Is self-regulation is better than statutory regulation? To many Scholars, self-regulation has a number of advantages that cannot be achieved sufficiently by the command control approach of regulation. Tambini(2008), argues that the self-regulation is often seen as more attractive than state regulation because it has legitimacy with the industry, is more flexible in responding to change, and can offer an alternative to state and political interference with media content. The issues mentioned above as benefits of self-regulation involve a mixture of principles and practical considerations. As observed by Pitofsky (1998), “Self- regulation is more prompt, flexible and effective than government regulation ". The speed of decision-making, the lower costs, the ready availability of expertise, and objectivity are some advantages of self-regulation. In addition, self-regulation helps promote sympathetic by the public at large which in turn may help decrease the claim for state regulation. On the contrary, state regulation is presented as slow, more costly, and some scholars mention the lack of expertise i.e. government staff is outsiders to the industry. Also, by its nature, self-regulation is better suited to facilitate the efficient coordination of policies and standards activities in the virtual world. From literature, it is noted that the benefits of media self-regulation mechanisms are not only to prevent unethical and unprofessional journalism. The system has a direct beneficial impact on media freedom. Self-regulation can also drive up professional standards by requiring organizations to think about and even develop their own standards of behavior. As the media environment becomes global and questions of jurisdiction turn into more complex, then self-regulation can fill the resulting gap. It is less costly to the government because industry bears the cost and can be more flexible than government regulation (Puddephatt, 2011). Likewise, for Hulin (2014) media self-regulation mechanisms have some concrete advantages compared to justice courts, which include "The effectiveness and flexibility of the system, its technical expertise, its reduced costs compared to justice courts and its power to increase the democratic participation of media users". Obviously, media self-regulation cannot succeed in a tyrannical environment. However, where media freedom is guaranteed, self-regulation can help protect the independence of the media and preserve it from government interference. Hulin, A. and Smith, S.(2008), argued that "By promoting standards, self-regulation helps maintain the media’s credibility with the public". This is particularly welcome in new democracies, most of which are also new to an independent press. Media self-regulation helps convince the public that the free media are not irresponsible. At the same time, self-regulation protects the right of journalists to be independent and to be judged for professional mistakes, not by those in power but by their colleagues. Hence, self-regulation is the necessary option for state control of the media and it is not a simple matter, because it places requirements at every level of the media organization, on the journalists, on their editors and managers, and the overall behavior of the media company (Tambini, 2008). Usually, self-regulation has been described as a viable option whereby industry voluntarily develops, administers and enforces its own solution to address particular issues facing the media with no formal oversight by the regulator. Accordingly, media self-regulation is a joint endeavor by media professionals to set up voluntary editorial guidelines and abide by them in a process open to the public. As MacDonald and Petheram, cited in Solomon (2011), self-regulation can also be explained as a framework that the industry through its own representatives establishes a non-statutory tribunal that arbiters the behavior of its members in line with certain professional standards. "Complaints about the media of bias, inaccuracy, unfair treatment, invasion of privacy and so on are continually increasing with siren calls for stricter control and regulation of the press"(Solomon, 2011, p. 10). On the other hand, self-regulation is often criticized because it is overly flexible and too close to the industry to offer genuine protection of the public interest. The sanctions of self-regulation are generally seen as weaker than the statutory regulation or through the legal process. Lord Wakeham (1998), an advocate of self-regulation, once said, “There is no correct answer to the question of whether the law or self-regulation is a better system for the maintenance of a free, responsible press. Both have their strengths; both have their weaknesses.” Self-regulation does also have some limitations as well. They are not necessarily exclusive to Self-regulation; the implication of the forthcoming section is to show what potential limitations are. As the disadvantage, self-regulation may be open to abuse and is marked by a lack of democratic accountability. When industry groups, with an economic interest in the regulated industry, set standards, there may be a risk of bias towards weak standards that favor business. Where broader public interests are involved, there may be risks that industry based groups do not take a sufficiently broad view of the world. Self-regulation also relies on industry-wide commitment to be effective (NZLC IP27, 2010). From the literature, it's noted that the key element of a self-regulatory system is the voluntary participation of those who are regulated by the system. Where that support is not present, the credibility of the whole system can be undermined and its financial viability threatened. Hence, if the concern is to make self-regulatory systems more acceptable to all stakeholders and to the public, then it seems necessary to start viewing self-regulation in terms of specific safeguards and measures taken to limit the liability of self-regulatory institutions in the face of a challenge to their activities via ordinary law. By doing so, independent media accept their shared responsibility for the quality of the public discourse in the nation, while fully preserving their editorial autonomy in shaping it. Therefore, media through self-regulatory mechanisms such as media council, they should work to improve self-regulatory frameworks, so that, they can better serve societies. Participation in self-regulatory bodies by definition must be voluntary, although the most effective self-regulatory initiatives have an industry-wide membership that encourages participation from all stakeholders.Moreover, one might measure the success of media council self-regulatory schemes in many ways. It might be measured in terms of whether the self-regulation through media council meets the stated goals or whether the stated goals are the correct or best goals. Likewise, self-regulation could be considered successful when it meets industry objectives, such as avoiding intrusive government regulation or restricting competition, even when those goals may not benefit the public. For the aim of this research, the focus is on whether media council of Ethiopia has been sustainable and successful in achieving its self-regulatory purposes. So, as media council is the nucleus of this paper, it will be more elaborated later in this chapter. A free media is both desirable and necessary in a democracy for holding the government accountable to citizens; for promoting diversity of views and for creating an informed citizenry through the free flow of information and unfettered debate. And critical look at the legal and regulatory frameworks for the media is very important as there are numerous implications to the level of which freedom of expression is guaranteed. As Street, quoted by Meron (2006), one of the greatest dangers to freedom of expression in several transitional democracies in Africa has been the introduction of media laws that has been used to effectively curb the media‘s ability to report freely. Though most governments in transitional democracies have paid lip service to freedom of expression in various circumstances, in reality, they have curtailed and eroded such freedom through several laws and regulations. Hulin, A. and Smith, S., (2008 p.13) recommended that in societies on the road to democracy, constitutional and legal guarantees are necessary to make press freedoms enforceable. For instance: Constitutions should prohibit censorship and protect freedom of expression; Laws should guarantee, free access to government information and protect journalists from being forced to disclose confidential sources of investigative stories; Regulations should guarantee the fair and transparent administration of media business such as registration, licensing, ownership disclosure and taxation. Through self-regulation over the years, considerable efforts have gone into building effective journalism in new democracies in Africa and elsewhere. The argument is simple-strong democracy needs strong media (Kruger, 2009). So that, the encouragement of self-regulation as a possible regulatory mechanism, is not limited to Western. The Africa countries have since the 1990s promoted media self-regulation for citizens protection, particularly ‘high-quality media based codes of conduct’. But self-regulation has not been a long or a consistent tradition in Africa (Elizabeth & Guy, 2007). This declaration is intended at applying Article 19 of the UDHR to African conditions. As Mafeje, cited in (White, 2012), it was this conceptual position that inspired media activists, policy advocacy groups, and civil society in the early 1990s to demand press freedom and self-regulation as a way of enhancing the mass media’s role in the democratization process.While media in Africa countries face varying degrees of enabling policy and legislative environments, however, common concerns across the continents exist in relation to the absence of common media standards and enforcement mechanisms. As Kasoma, cited in (Gudeta, 2008:64), “The unethical and irresponsible use of press freedom was, clearly, leading African government to a repeat clampdown of the press, which would itself lead to retrogression of the democratic process and possibly, cause Africa revert to democracy”. Even though there will always be questions about the ability and capacity of the media to develop a functional peer review mechanism, the declaration of principles on freedom of expression in Africa endorses media self-regulation declaring that effective self-regulation is the best system for promoting high standards in the media (Kimumwe, 2014). Currently, in many African nations, including Ethiopia, there is the desire of the profession to regulate itself, led to the adoption of new codes of ethics for professional conduct and gave rise to the institution as media watchdogs and advisers, and self-regulatory bodies. Self-regulatory systems exist in various African countries, including Botswana, South Africa, Zambia, and Tanzania. Additionally, the media that currently participate in the voluntary Media Council should persuade those media that are outside the mechanism to join (White, 2012). However, the practice of media self-regulation is slowly growing in Africa. For instance, the media of Zambia is now regulated by a non- statutory, voluntary self- regulating council called the Media Council of Zambia (MECOZ). As Elizabeth & Guy (2007), indicates professional alliances have given rise to two specific types of structure that are increasing in number today in African countries: press houses and ethics watchdogs. The watchdog for press freedom, ethics and professional conduct (OLPED) established in Côte D’Ivoire in 1995, played a pioneering role in the whole of Francophone Africa. It was followed by the creation of ODEM in Benin in 1998, (Watchdog for professional conduct and ethics in the media), of CRED in Senegal (Council in respect of ethics and professional conduct). Similar independent media councils have been set up in Kenya and Ghana. In addition, in 1995 Tanzanian media practitioners, as well as supporters from civil society, established a voluntary, independent and non-statutory council to guide the self-regulation of mass media as an integral part of liberal democracy (White, 2012). Since then, many countries on the continent and elsewhere have sent pilgrims to Tanzania to learn from the MCT seeming success story in spearheading self-regulation of mass media (Ibid). Although self-regulation promoted by independent media councils, is deemed a better alternative than government control through legislation, there is still a lack of clarity about how effective it is, or can be, in the context of young democracies such as those in Africa. In principle, self-regulation entails all the mechanisms employed by media practitioners themselves for ensuring accountability. In addition, media self-regulation aims at supporting the development of the profession towards greater responsibility in the treatment of information, as well as, fighting against government interference and pressure on the media. Therefore, in African self-regulation mechanism conducted by an independent body should be established because of homegrown parameters, practices and situation to carry out self­-regulation and on the continent’s media. As Street (2001) cited in Meron (2006), indicates a critical look at the legal and regulatory frameworks for the media is fundamental, as there are several implications to the degree to which freedom of expression is guaranteed. The media play an extensive role in shaping the government in power, it is, therefore, important for the government to always distance itself from interfering with media regulatory systems (HRW, 2010). Underneath to this, the Constitution of the Federal Democratic Republic of Ethiopia (FDRE) provides for freedom of the press and freedom of access to government information, and the legal framework for these rights is in place. However, a start in the exercise of the right has not developed well mainly due to the government interference, and lack of professionalism on the part of the media. Article 29 of the constitution, which guarantees freedom of expression clearly prohibits, any form of censorship, which unduly restricts freedom of the press. In July 2008, Ethiopia's parliament adopted the Freedom of the Mass Media and Access to Information Proclamation, hereafter (FMMAIP) 590/2008. The law made some positive changes from the previous media law, such as excluding the pre- trial arrest of journalists, but it added worrying new features, including broad powers to instigate defamation suits and to demand corrections in print publications. In addition, it recognizes the role of a free, independent and diverse media with high ethical standards and professional competence in strengthening the democratic process. However, these rights can be limited (concerning national security, public order, protecting youth, and public morality) through laws, which are guided by the principle that freedom of expression and information cannot be limited because of the content or effect of the point of view expressed. So, one of the greatest threats to freedom of expression in Ethiopia has been the preamble of media laws that has been used to effectively limit the media‘s ability to work freely. Regarding legal framework, there are some articles in Ethiopian media proclamations that have been put in place to criminalize certain practices of the media professionals. To hint how too harsh such laws are in the media, the researcher analyzes and discusses them below. As aforementioned, article 29 of the Ethiopian constitution clearly provides everyone with the right to expression without interference, including the freedom to seek, receive and impart information and ideas of all kinds, regardless of frontiers, either orally, in writing or in print, or through any media of one’s choice. The constitution, in favor of international human rights instruments, provides that censorship in any form be prohibited. And it takes a position on the limitation of these rights saying they can only be limited through laws. In harmony with Article 29 of the Constitution, the country has several proclamations regulating the media, including the Freedom of the Mass Media and Access to Information Proclamation of 590/2008and the Broadcasting Service Proclamation of 533/2007. Despit the proclamations reaffirm constitutional protections and prohibition of censorship, they also contain challenging provisions that grant broad powers to initiate defamation suits, impose harsh financial penalties, demand corrections in media, and empower government arbitrarily deny licenses and permits. Concerning ownership, FMMAIP under its Article 7/1 and 2 stipulates that, a person with effective control over a country wide broadcaster for an area with a recorded population of more than or with 100,000 inhabitants, "may not exercise direct or indirect effective control over another company holding such a license and servicing the same or an overlapping market” (Article 7/2&3, 2008). Actually, the thinking behind to limiting multiple ownerships of the media is based on the perception that intensive media ownership might lead to a public sphere monopoly by a few. Whereas the government itself owns all media types (print and broadcasting as well as online media). Hence, this type of over controlling the media industry may affect the development of the sector and press freedom in general. Article 12 of the Proclamation sets out the basic right "All persons have the right to seek, obtain and communicate any information held by public bodies” (Article 12/1) and Article 13 requires public bodies to publish key information. And Article 14 describes the process for obtaining information. Article 14(6) lists the circumstances in which the responsible public relations officer may reject requests of information, including that the request is too general, “would involve disproportionate diversion of human and material resources, or would adversely interfere with the functioning of the authority.” This is not a legitimate ground to refuse an information request; public bodies as part of their day-to-day operations must view providing access. If a demand is too general, officers should be required to assist requesters to make them more specific. If requests are large, a time extension might be available to deal with this. The request should, however, be addressed. In addition, FMMAIP describes that defamation and false accusation against “constitutionally mandated legislators, executives and judiciaries will be a matter of the government and prosecutable even if the person against whom they were committed chooses not to press charges.” As a result, journalists can be prosecuted for defamation by the government even when no individual government official initiates legal action. Fines are also very high for defamation, as high as 100,000 Ethiopian Birr. Article 613/ (1-5) of the Criminal Code also allows penalties of a fine or up to one year in prison for defamation. Therefore, such clauses, may keep the journalist silent or self-censoring from criticizing the officials and investigating them for their wrongdoing. This proclamation also contains overly broad and unrestricted provisions that force publications to publish apologies or corrections from the government without defining the limits of this requirement. In general, ostensibly providing for improved access to information, the FMMAIP puts a number of restrictions in place that actually hinder access to information. Also, it provides too much care to government officials, allowing them to use a variety of clauses to deny access to government information. The government to license and regulate Radio and Television Stations and to provide for the licensing of Television sets endorsed the Broadcasting service proclamation 533/2007, hereafter BSP. In spite of the legalization broadcasting, the Proclamation ensures that broadcasting media will be under strict control. Accordingly, any national, regional and local transmission programs shall allocate at least 60% of their weekly transmissions to national programs. Of the 60% of national programming by a regional broadcaster, “…40% shall be allocated to programs that relate to the affairs of the region” (Article 32/2). Likewise, of the 60% of national programming, “…20% shall be allocated to programs that relate to the local affairs” (Article 32/3). In addition, BSP says broadcasting media covers the public information, educational and entertainment needs, serves political parties, announces government strategies and “enhances the cultures and artistic values of the public.” The only mention of citizen participation helps in providing preparing media programs. The provision has banned a wider range of people and organizations from starting a broadcasting service, including religious organizations, leaders of political organizations and citizens who have been deprived of their civil or political rights by court decision. Organizations incorporated abroad or whose capital or management is from foreigners have also been excluded. The thinking behind is, if the broadcasting service is to be run by foreigners, loss of local values and external influence on local order would prevail. However, allowing foreign investment in the broadcasting service might not be as harmful as the proclamation states if the proper monitor is established over it. In addition, authoritarian rules on media ownership, the BSP impose ruthless penalties. For instance, the fine for operating without a broadcast license and defamation can reach up to Birr100, 000. The proclamation gives the government far-reaching powers to regulate the broadcast media. These include allowing the government to prosecute defamation cases against the media, even if the government official in question does not initiate legal proceedings; providing the government, particularly EBA has the legal authority to regulate the media, to use registration and licensing procedures as a punishment for dissent. So the EBA, according to the BSP it is ultimately responsible for the Government Communications Affairs Office (GCAO). Under Article 44/1-2, the Ethiopia Broadcasting Authority reserves the right to reject licenses based on program contents and social needs covered by the program. This vague provision opens the possibility that applicants who have programs potentially critical of the government will not get licenses. Besides the content, the EBA can also reject applications if funds and equipment are insufficient, or if it decides the applicant's organizational capacity, knowledge, and experience to render the service are insufficient. Therefore, these clauses used to protect the malpractice of journalism but in another way round negatively affect and dwarf the freedom of expression and freedom of the media as well. In July 2009 parliament approved the anti- terrorism proclamation 652/2009 hereafter, ATP that is among regulation that designed to limit and penalize media activities. Whosoever, publishes or causes the publication of a statement that is likely to be understood by some or all of the members of the public, to whom it is published as a direct or indirect encouragement or other inducement to them to the commission or preparation or instigation of an act of terrorism, is punishable with rigorous imprisonment from 10 to 20 years (article 6 of ATP). Because of terrorism has vague definition, the proclamation might be applied in criminal cases to anyone, including journalists who expresses disagree with government policies. In addition, it gives a chance for the government to interfere in media work and suppress the freedom of the media. Freedom of speech is the foundation of any democratic society. Constitutional or legal guarantees are needed to make media freedom a reality, to prohibit censorship and guarantee the free flow of information. The Federal Democratic Republic of Ethiopia (FDRE) Constitution (1995) in its Article 29 grants recognition to the Freedom of Expression and Freedom of the press as a fundamental right. Rights of expression include the “freedom to seek, receive and impart information and ideas of all kinds, regardless of frontiers, either orally, in writing or in print, in the form of art, or through any media of her/his choice” (Article 29 (2)). This is a copy of Article 19 of the Universal Declaration of Human Right (UDHR), and Article 19 of the International Covenant on Civil and Political rights (ICCPR), which guarantees the right to freedom of expression. These rights [the rights stated in five sub-articles of Article 29 of freedom of expression] can be limited only by laws, which are guided by the principle that freedom of expression and information cannot be limited on account of the content or effect of the point of view expressed. Legal limitations can be laid down in order to protect the well-being of the youth and the honor and reputation of individuals. Any propaganda for war as well as the public expression of opinion intended to injure human dignity shall be prohibited by law (Article 29 (6) of FDRE Constitution). It can be understandable from the above statement that only the laws of the country limit freedom of expression. Put clearly the fact that limitation on freedom of expression is left to the laws in Ethiopia, there are regulatory bodies that are set up to regulate media activities. The report of Article 19 (2005), clarify the independence of media regulatory bodies are a vital condition for the promotion and protection of the right to freedom of expression. In order to ensure the free flow of information and ideas media, regulatory bodies need sufficient protection against government interference, particularly of a political or economic nature. In addition, as pointed out in existing literature perspectives on media self-regulation differ from culture to culture and from continent to continent. Self-regulation purposes, mainly for the defense of media from political censorship, economic dependence, and upsetting court cases. Others see media self-regulation as an educational instrument for both journalists since it imposes high professional standards and demands more attentive media literacy. An understanding of the basic political, economic and social conditions in which media operate in the country is vital in order to value the complex environments in which media self-regulatory council operate. And there is certainly a shortage of studies to recognize the state of media freedom, legislation and the work of the self-regulatory media council in Ethiopia. Therefore, ensuring the sustainability and effectiveness of self-regulation through an established media council of Ethiopia would pave a path toward a more accountable media and transparent government. Hence, this paper, in particular, focuses' on the practice of media self-regulation through a media council of Ethiopia. The freedom of the press has to be preserved and protected media, both from outside and inside interference. At the foundation of all self-regulatory mechanisms and systems is the need to increase awareness and understanding of the issues. This fact is universal apart from the economic, cultural, and social environment in which the self-regulatory system is being established . And some of the mechanisms to ensured media self-regulation are Media Council, the Ombudsman, and letters to the editor, etc. However, for the purpose of this research media council is more emphasized than the others are. Subsequently, the concept of the media council was not new. It began in 1916 when the first press council was established in Sweden to serve as an intermediary between news media and the public (Ristow, 2009). According to different kinds of literature since 1916, many other nations had established press councils, the British press council that it was established in 1953 stood out as quite successful. In early 1980 the press councils in Sri Lanka and the Philippines were under state control. The Turkish press council, established in 1960, was dissolved in 1968. The press council of India, founded in 1965 under the press council act of that year, was abolished in 1976. Similarly, Norway, Germany, and the Netherlands are countries with long established press councils, and there are councils in transitional contexts like in Montenegro, Armenia, Serbia, as well as in Kosovo, where recent democratic changes facilitated the explosion of independent media, and so increased the need for self-regulation (Zlatev, 2011). As the diverse study is evidence for, in many countries the establishment of a media council followed government control of the press or a threat of government regulation. This is similar to Ethiopian media council. Ian & Lewis (2007) stated that "Control is exercised over levels that include: a) funding, for instance, the German Press Council receives approximately 30% of its funding from the government, but it is not a statutory body. b) The power of appointment, for example, the Indian Government controls the appointment process to the Indian Press Council: and c) types of appointees, some media councils have government or parliamentary representatives on the council itself. Statutory councils are often set up with some independence from the Government. In some case, Sweden freedom of speech is specified in legislation and implemented by an industry-funded ombudsman and press council." (2007: P.16). The manifestation of media councils has been associated with the media’s aspiration to avert statutory or government regulations (Bussiek, 2008; Sawant, 2003). In addition, a majority of media councils has been indeed created to avoid some state regulation of media. In consequence, the media councils were set up in different countries in a different period, keeping in view the need of the time. As well as, the media Council of Ethiopia has been lately established in January 2016, although the history of media goes back decades. Therefore, it is the purpose of this study to discuss in detail the self- regulatory arrangements of a media council for the media in the country. Self-regulatory bodies such as media council might be an instrument to raise the quality of information and hence raise the social responsibility of media. This concept of social responsibility of the media was first called for in a report of the Commission on the Freedom of the Press known as the “Hutchins Commission” (Hutchins Commission, 1947). Literature shows that the Media Council has jurisdiction over all forms of news media, including print, broadcast and online. In addition, its core functions will involve, educating journalists and the public about the roles and responsibilities of the media and the purpose of the Media Council; developing and maintaining an enforceable Code of Practice; and receiving and addressing complaints relating to breaches of the Code of Practice. Also, the media council's purpose is to protect the freedom of the media by ensuring that it keeps or recovers the trust of the public, by improving its informative and ethical quality, and by making it more socially responsible. Providing the public with accessible and effective complaints handling service should be the key priority of media councils. In addition, the main duties of media council are to accept complaints, serve as a mediator between the plaintiff and the media, take decisions on complaints based on rules and regulations, identify breaches by the media of the code of ethics, secure the transparency of and publicity for all decisions taken, and set professional standards for journalists, (Ibid, 1947). According to Quick (Ed.) (2003), the primary objective of every media council is to enforce the right of public to reply and other access issues. Also, the protection of the freedom of the press and the maintenance of professional standards and rights of access is among the main tasks of media councils. Thus, the media council has a dual function self-defense and self-control. In addition, media council engages in other activities, such as ensuring a free flow of information, preventing media concentration and monopoly, supporting technical improvements, and representing the media. It is noted from the above; Media Council has played a key role in maintaining public trust and confidence in the media industry by promoting professional ethics, fairness, accuracy and balance. Furthermore, a true media council takes advantage of the fact that it brings together and represents the people who own the power to inform, those who possess the talent to inform and those who have the right to be informed. Also that it is a permanent institution that is democratic, independent, flexible, multifunctional, harmless and that its sole purpose is to improve media service to the public. Furthermore, it can afford to do more than just settle complaints (Bertrand, 2007). Therefore, the mandate of the Media Council of Ethiopia, as well as similar bodies across the world is to promote the standards of the media by building up to it a code of conduct. Furthermore, it can ensure the protection of the rights and privileges of journalists in the lawful performance of their duties, and foster the achievement and an assessment of Ethiopian media council in regulating journalism practice, maintenance of high professional standards by the Ethiopian media. In addition, the protection of the rights and privileges of Ethiopian journalists is an integral component of the Ethiopian media Council’s functions. - It allows members of the media industry more freedom to run their affairs. - The rules and procedure of the media council are less formal. - The costs for the formulation, interpretation, amendment and enforcement of standards are lower. - Self-regulation through media council can harness common interest in maintaining the reputation of those involved in the activity and can generate a sense of ownership amongst those in the media industry. - Since those directly involved in the media industry develop the rules (code of conduct), they are practicable and can best reflect the issues and needs of the media. - The media council acts with greater speed in decision-making and can be easily adapted to reflect changing circumstances. Accordingly, while the promotion of self-regulation of the media is undoubtedly essential to the existence of freedom of the media in a democratic society, it is worth emphasizing on some of the mechanisms of media self-regulation. Thus, this study focuses on the sustainability and the roles of the Ethiopian media council. My examiners and supervisor recommended me to publish the thesis.